Mr. Ashe was appointed OSEG CEO on January 17, 2013. He oversees all facets of OSEG’s business operations, including sports franchises, TD Place events and facilities, Lansdowne Retail and Lansdowne Park operations. He also works closely with the City of Ottawa to ensure the Lansdowne urban lifestyle district thrives as a popular destination for residents and visitors to the city. Prior to joining OSEG, Mr. Ashe served as CEO of KOTT Group, a privately held company in the supply and installation of lumber and related products in the Homebuilding industry. Before his work with KOTT, he served as President and CEO of AiT, now 3M-AiT Ltd, a TSX-listed company providing solutions for traveler identity and border control. He was also the Executive Vice-President and Chief Operating Officer of the NHL’s Ottawa Senators from 1991 – 1997. 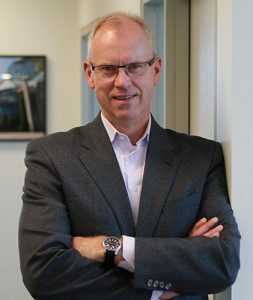 A trustee and former Chairman of the Children’s Hospital of Eastern Ontario (CHEO), Mr. Ashe was named 2015’s CEO of the year by the Ottawa Chamber of Commerce. He serves on the Ottawa 2017 Board of Directors, which is tasked with making Ottawa the national headquarters for Canada’s 2017 celebrations. Mr. Ashe also serves on the Board of the Shaw Centre and has served as a Board member for the Canadian Advanced Technology Association. He was also a member of the Mayor’s Leadership Table on Homelessness and currently resides in Ottawa with his wife Nancy and their children.